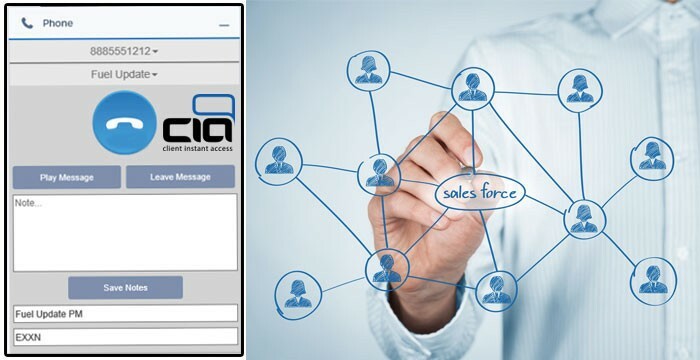 CIA’s Integrated CRM Dialer is a web-based tool which allows you to quickly and easily call and communicate with large groups of people at minimal expense. Our CRM Dialer is conveniently accessible from the office, home or anywhere with a phone and an internet connection, and it eliminates the stress and repetition normally involved with making multiple outbound calls. How does our Integrated CRM Dialer work? 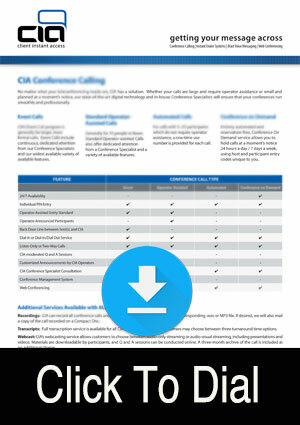 Our CRM Dialer is easy to use. The first step is to log in to our online portal from your PC, laptop or tablet. 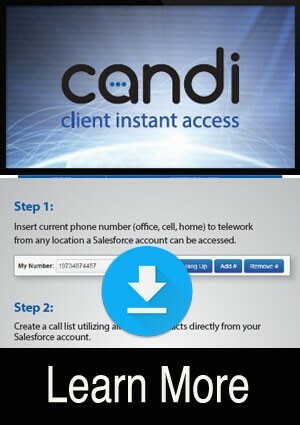 Once logged in, select your phone number from the drop-down list (or enter a new number) and click on “Call Me.” Your phone will then ring and once you answer it, you are connected to the CRM Dialer system. Next, select one of your contact lists and a pre-recorded, saved message, or follow the simple directions to create a new one. 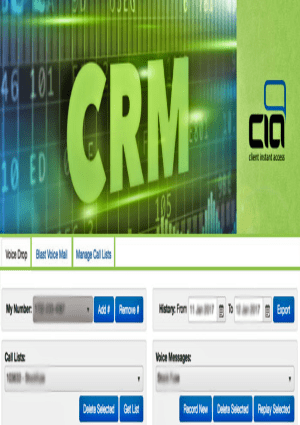 Once connected to the CRM Dialer system with a list and message selected, you may begin calling the numbers on the list simply by clicking on them. When you reach voice mail, you have two options. Selecting “Leave Message” without waiting for the tone will instantly “drop” your pre-recorded message into the person’s inbox. Alternately, you can personalize a message by waiting for the tone, leaving a live, customized introduction and then clicking “Play Message” to instantly add the pre-recorded content. This gives the impression that the entire message was created and left just for that individual. When a call is physically answered by someone, our CRM Dialer system conveniently allows you to speak live with the person. Why Use our Integrated CRM Dialer?